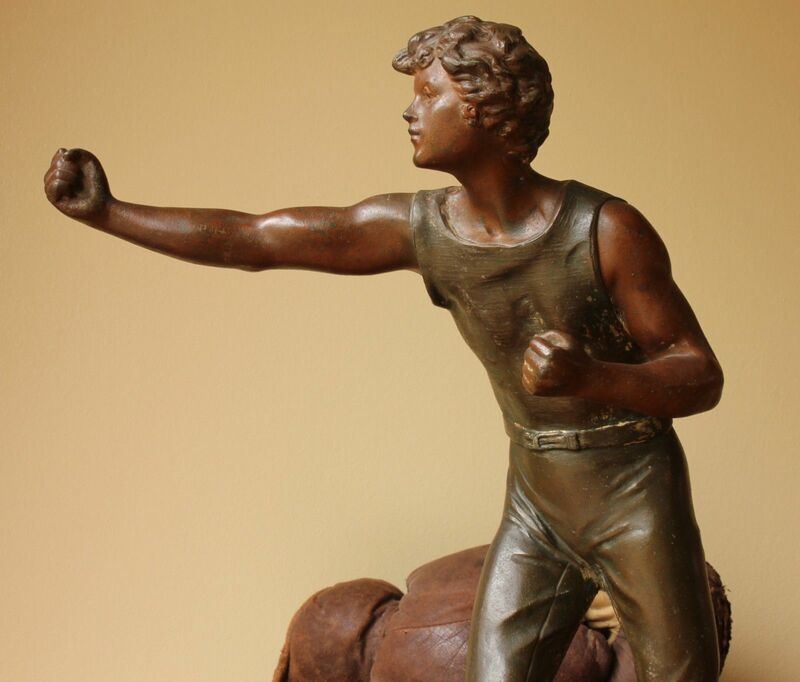 Large Metal Boxing Statue of Bare Knuckle Fighter Pugilist. 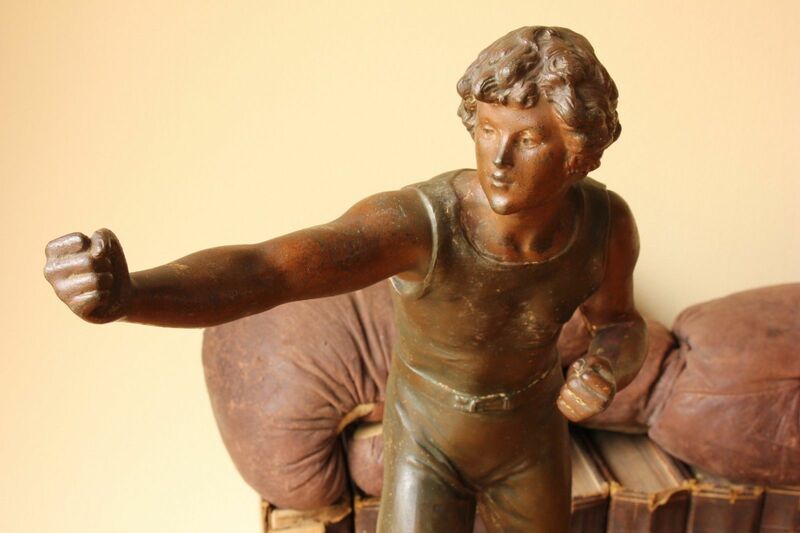 This original antique French boxer statue is of a young male bare knuckle fighter with gloves removed and placed by his feet. 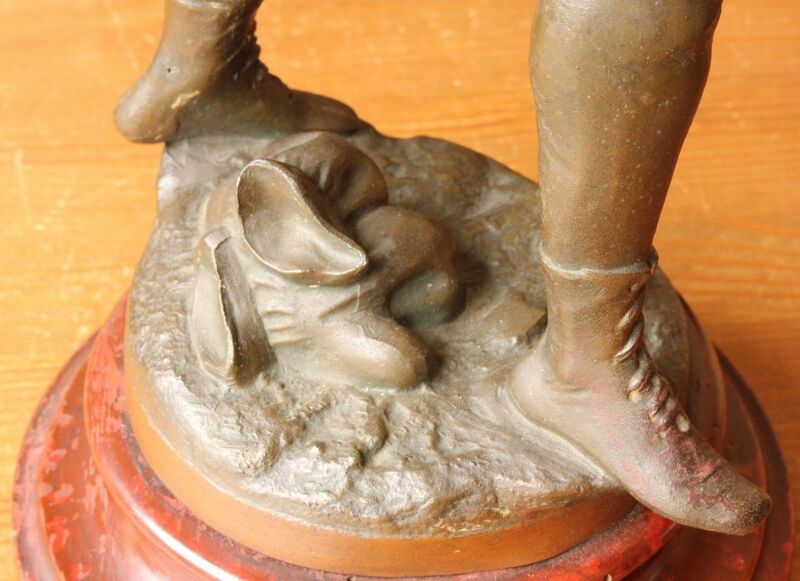 This unusual and large figure would have once been used as a trophy and has a plaque on the base. 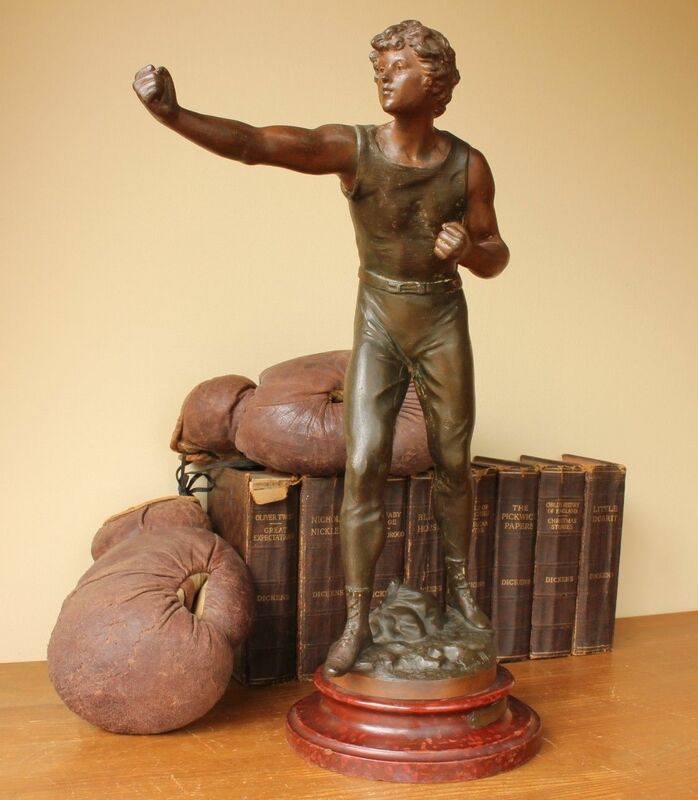 This handsome piece is made of cast metal with a bronze effect finish and is mounted on a wood base that has a painted marble effect finish. 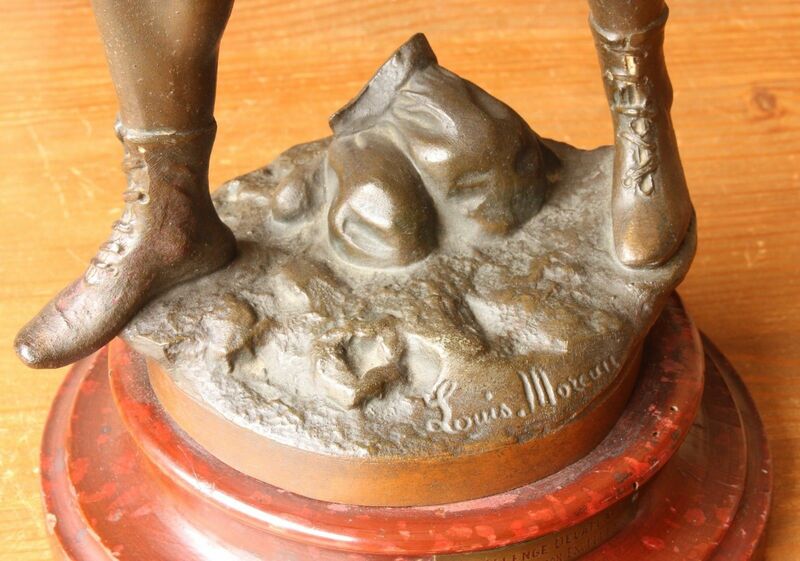 The figure is signed Louis Moreau. 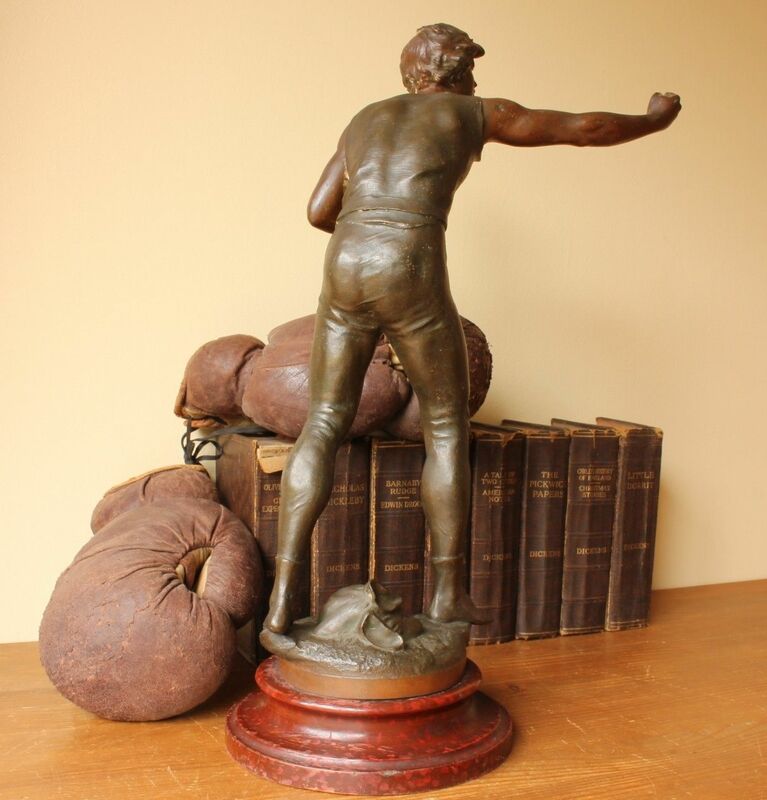 A rare item of boxing memorabilia that looks impressive on display due to it's large size and is an ideal gift for a boxing enthusiast. Material: Cast metal with a patinated bronze effect finish and mounted on a painted wood base. Date: Late 19th century - c1880. Size: 47 cm (18 1/2") high approx. Condition: Very good used antique condition. Some light marks and scratches. Please see pictures.